This is the walkthrough for demo #1 in my Microsoft Master webcast on App-V 5.0 scripting. For the full webcast information, visit https://t3chn1ck.wordpress.com/2014/02/03/playback-of-microsoft-master-app-v-5-0/. This demo is on uninstalling native (local) applications when an App-V package is added to a system. For this example, I used 7-zip. 2) Create a .bat file to perform the uninstall of the software. In this case, I just looked up GUID of the package to have msiexec perform the uninstall and added an extra step to then echo “Removed 7zip” into a text file for evidence that the script executed. So my batch file looks like below. Note: that you don’t have necessarily have to do this uninstall so simply as I have .. or even use a .bat script. It could be VBScript. Or PowerShell. And/or include any custom checks to make sure it gets removed. And the options go on. 3) Save your .bat file onto a server share. This share needs to have read, list, execute rights for all users and all computers of the domain. In my examples, I essentially just had the share as \\server\AppV_Scripts\ which I can use for other scripts and whatnot. 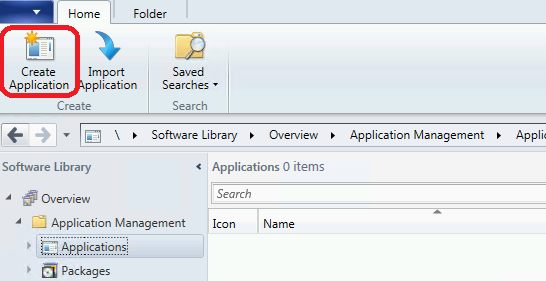 5) Now we’ll add the package into ConfigMgr as an Application. Note that ConfigMgr will choose the most recently modified Config.xml file to use for the Deployment Type. Watch the local system as the natively installed application is removed and replaced by the AppV package is there! Then check that the C:\ for presence of the uninst_7zip.txt file thus giving further proof that script executed! 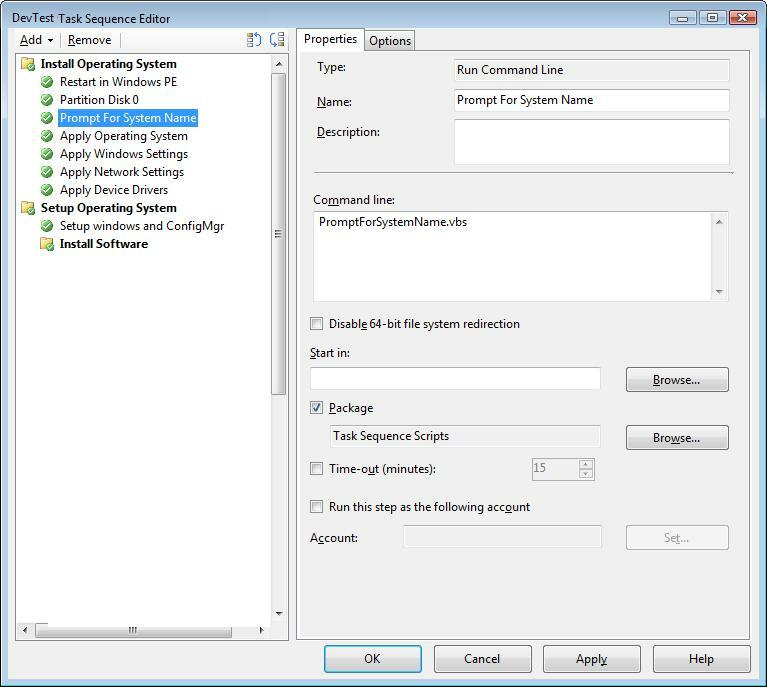 This entry was posted in App-V 5.0, ConfigMgr 12, How-To and tagged Batch Script.